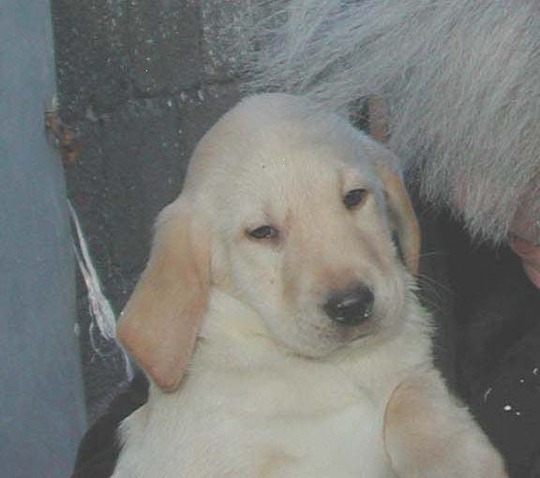 As many of you know, and you can see by my avatar photo, we had a lovely Labrador called ‘Henry’. We came to live in the West Country after we retired, and were able to own a dog at last – not possible when we were working full time. So Henry, aged 9 weeks, came to live with us. Well, he grew into a lovely happy dog. I know some members actually met him when they visited here. He was always the main attraction at Open Days! He developed Epilepsy – what an awful shock when he had his first seizure! However, his wonderful vet soon had it under control and he didn’t have any more fits until April this year. Then he had another one in mid-May and went downhill rapidly. I am so very sad to have to tell you that he had to be put to sleep on May 25th at the age of 11 1/2. He was so poorly and had lost the use of his back legs. His vet made his passing very peaceful, and we scattered his ashes around ‘his’ garden, so he is always with us. I was distraught to lose my lovely boy, and there was a big Henry-shaped gap in the house, especially in the kitchen when I went down in the morning. No waggy tail to greet me! I just had to fill that gap – so we decided that we’d have another dog – let me introduce you to Widget, who is a Cocker Spaniel. He came to live here when he was 10 weeks old, almost 4 weeks ago and he’s a little tinker, but there is laughter here now to replace the tears. We will never forget Henry of course and I intend to keep my avatar in his memory. Previous post: One of my visions! Next post: What a hard worker! So sorry to hear about Henry but he has left you with a lot of happy memories. It sounds like you will have fun and games with Widget though. He is a very handsome chap. I can sympathise with how you feel having lost our cat aged 17 a couple of months ago. Now we have two 12 week old kittens running wild in the house and there's more laughter than tears! I am sorry for your loss but happy that you have got yourself another bundle of joy. So sad that henry has gone to doggy heaven but as you say the memories will always be there. Somehow when the name Spritzhenry is mentioned a picture of Henry always comes to mind..a good dog leaving happy memories. You have got yourself a full time job with young Widget if my neighbour's almost identical pup is anything to go by! She's being trained as a gun dog and so full of beans she cold supply Heinz - enjoy! I was so sorry to read about your loss. When you lose a beloved pet the house just doesn't feel the same. Empty. I admire that you waited to get Henry till you had time for him. Sadly a lot of people don't. As for widget, he is gorgeous. Bet in some ways you don't know whats hit you lol. I know I didn't when I got Shadow, i had forgotten :-), he was one yesterday. Ben my other dog is 7 now and lovely and calm and then came Shadow. Full of energy and into everything. But they are a joy, and like you say put a smile on your face. Love the name. Widget looks a cheeky funloving lad, hope he's not a digger ? And now the happy times again with Widget! Drown in those beautiful eyes. Ah Spritz I am so sorry to hear of your loss, Henry became famous throughout Goy and I always think of you and him together in the garden, I am pleased you now have Widget and know what you mean about missing the wagging tail in the mornings, he'll never replace Henry because they don't but he will have helped fill that gap..
Pets are such important part of the family. I would also hate to see mine suffer. And cry afterwards. Widget is cute pup. Oh Spritz, so sorry to hear about Henry yet so happy to meet Widget. He is a cute little lad with a right mischievous look in his eye. I'm sure he'll keep you on your toes. 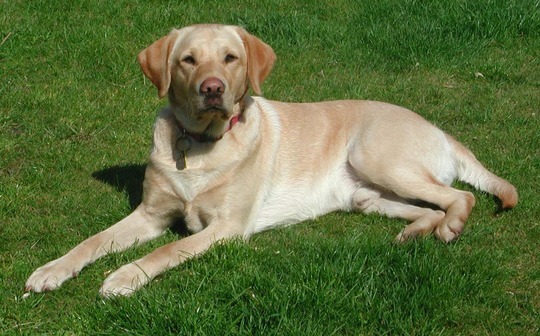 Tear in my eye, so sad to lose a beloved pet, my lab Bonnie is 12 next month and getting a bit stiff. The puppy must be you on your toes ? You gave Henry a happy enviable life and Widget is the cutest thing I've ever seen. Look at those big brown eyes! Who couldn't fall in love? He is a gorgeous little bundle of mischief - and you are right. No dog could ever replace my lovely Henry, but Widget is there to wag his tail so the house has lost its emptiness. :-) I could already write a book - 'The Tales of Widget'. LOL. I am sorry to hear that Henry has gone but he will never be forgotten by those who met him. I'm sure Widget will add to the story of your garden through future GOY pages. I hope he will not be a "digger". Sounds a good story ? I am glad widget is starting to fill the yawning gap. also I think it is a lovely tribute to Henry to keep his avatar. I knew a lot of people would want to hear about 'our' loss. Henry was here when GoY started! Aw, thats really sad news. Henry was a big part of GoY. He was such a handsome boy. I can imagine how difficult those times were Barbara. Im so glad you have found some healing with Widget. What a lovely puppy! What a handsome & mischievous pup you have, he will help you through the sadness of losing a dear friend. Henry will always have his special place in your heart & maybe one day you'll feel Widget can be your avatar. I said I wouldn't have another dog after my Zak but 4 years on & Ruby came to live with us. Neither of us can imagine being without her now. Widget is a great name & I'd love to know how he came by it. Everyone should have a Dennis!